Whether it be Facebook, Twitter, or Instagram, social media platforms serve the same purpose of keeping us all connected. The film industry has brilliantly taken advantage of social media by using it to appease their fans with behind the scenes looks or cryptic teasers to get their wheels spinning. Chris Hemsworth posted a photo on his Instagram account showing downtime while on set for the third installment to Marvel Studios‘ God of Thunder franchise, Thor: Ragnarok. In the photo, Hemsworth is accompanied by Tom Hiddleston, who portrays Loki, Thor’s villainous brother. The two are relaxing on set and to the untrained eye, it seems to be a pretty straight forward post. 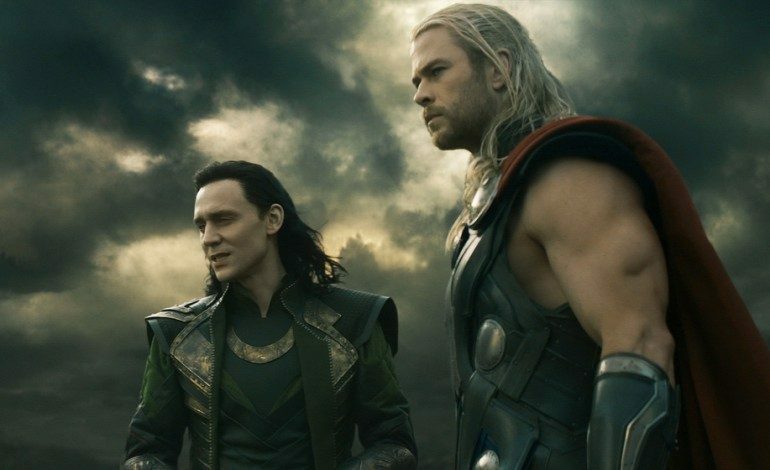 BUT, if you are able to look passed the luscious hair of Hemsworth and the scowl of Hiddleston, clues to the plot of Thor: Ragnarok can be seen. Posted Sunday on Hemsworth’s Instagram account the two are sitting in front of a small “News Stand.” Behind the two stars, news headlines are visible reading “Has Thor Returned,” “Hammer Attack,” and “Time Square Murder.” Ignoring the typos, let’s take a closer look. If what we are reading is true, this will mark the triumphant return of Thor to Earth since 2015’s Age of Ultron. Unfortunately, his return is probably no cause for celebration. There is a lot to take in and many things to speculate about, the most prominent of the bunch is the “Big Apple” News headline; “Has Thor Returned.” If your photoshopping skills are spot on, a sub-headline can be seen underneath reading “God of Thunder Strikes It Up With Lady Justice.” Some speculate that it’s a hint for the debut of Tessa Thompson‘s Valkyrie or it could simply mean Thor is going to court. I only say that because Lady Justice statues can be seen outside numerous courthouses in NYC. One other headline worth looking for is Sleepless City New’s headline “Villain Loki Spot–” – it is cut off but we can assume the rest of the word is spotted. Loki and NYC are two words that New Yorker’s probably never want to see in the same sentence, especially after he tried destroying the city back in Marvel’s 2012 hit The Avengers. Hemsworth and Hiddleston could be pulling a fast one on us, but this photo does raise some interesting questions. Will the Asgardian be saving Earth once again? Will Loki trick Thor into one of his mischevious games? Or one question I have is, where does Mark Ruffalo‘s Hulk fit into all of this? It’s definitely food for thought, enjoy picking apart the full picture yourself.